Even before you decide to buy, ICI Homes invites you to conveniently preview a wide array of new home products and interior finishes for your new home at the ICI in-house design studio nearest you. Here, our talented staff is delighted to give you a guided tour and answer any questions you may have regarding the products on display or how the personalization process works. Once you have finalized your decision to purchase, you will spend quality time with our professional design team who will help you choose products and finishes that reflect your taste and personality while complementing your budget. Design Your New Home Before You Buy: ICI Homes offers you the opportunity to preview all the options and upgrades available for any of our floor plans before you purchase your Florida new home. Don't miss this opportunity to design your home with the professionals. Our designers will be available to answer any questions. One Stop Convenience: As an ICI Homes customer you can make all your interior and exterior color and material selections at Florida's finest and most complete design studio. This one-stop "Dream Shop" is built around the concept of customer care. It provides convenience and enables you to make a timely decision from a wide selection of items needed to turn your house into a home. Widest Selection: You will find the widest selection of the most up-to-date products being featured in new home construction today. Our staff continually researches the market for the latest products with the best quality that you'll see showcased in our model homes. By demonstrating many of these features in our homes, each homebuyer may custom choose the products that compliment their lifestyle and needs. 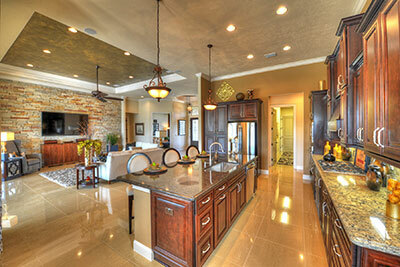 The ICI Homes design studio provides true convenience and value. Outstanding Quality: The key to our success has been our commitment to outstanding quality and personal service. We select only the finest materials from the most selective manufacturers and every item in the design studio has met the ICI Homes standard. Professionals Who Care: Our professional interior decorators are here to serve you by advising you on what works well within your taste, needs and budget. Their knowledge and experience will help guide you in making the right color and material selections to enhance the look and feel of your home. Appointments are required to meet with one of our design specialists. Fill out the form below to schedule your session with the design team located nearest you! Schedule a Design Studio Appointment Today!